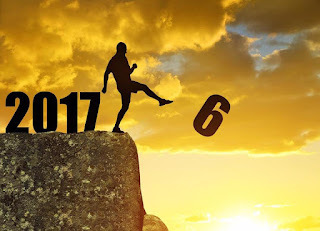 Happy, happy New Year!! I have taken a pretty significant break from blogging over the last month and a half. Not for any reason except it began to feel more like work than I cared to do. So I decided to just read for enjoyment, and not feel guilty when I didn't bog after I finished each one. But the guilt lingered, so I thought about shutting the whole blog down. But I've decided that the positives outweigh the negatives, and if I need to take little breaks, I will, but I actually find it to be a positive in my life. One of my favorite book bloggers encourages us to choose one word for each year (her awesome blog is here). I've never participated before, but when one of my best friends posted something similar about choosing one word, I decided it was a sign that I needed to participate. My word for 2017 is Joy. I didn't want a word like commitment, or strength because those feel like work - and I do enough of that. I didn't want an overall word like gratitude or happiness, because it feels too wide open - who wouldn't want to be happy? But really what does that mean? I chose Joy because it feels like an active word. You have to consciously, purposefully choose Joy every day. It will lead to happiness and gratitude if I do it right. Over the last six weeks, I read a lot of Christmas books. There were so many good ones!! But Holly Martin won for 2016. Christmas Under a Cranberry Sky was my favorite out of so many good choices. I highly recommend all of these! 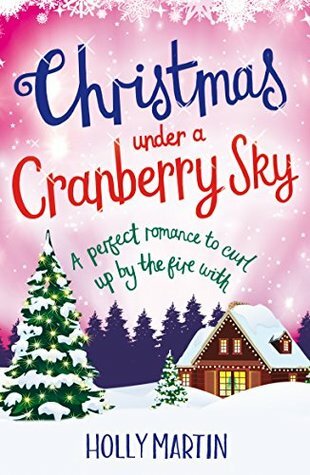 Christmas Under a Cranberry Sky by Holly Martin.....Piper Chesterfield lives a glamorous life travelling the world and reviewing the finest hotels. She calls nowhere home, she works alone and that’s how she likes it. For long ago Piper decided that to protect her heart she should lock it away. Hotel Crillon as she gazes at the twinkling lights of the Champs Elysee and wonders if she’s made a terrible mistake. She was supposed to be visiting the Christmas tree in the Place de la Concorde, and eating escargots and macaroons with her new husband on their honeymoon. But a week before the wedding, she called it off. Isabel is an ambitious Philadelphia finance woman, and Neil suddenly decided to take over his grandparents’ farm. Isabel wasn’t ready to trade her briefcase for a pair of rubber boots and a saddle. When Neil suggested she use their honeymoon tickets for herself, she thought it would give her a chance to clear her head. That is until she locks herself out on the balcony in the middle of winter. Thankfully her neighbor Alec, a French children’s illustrator, comes to her rescue. He too is nursing a broken heart at the Crillon for the holidays. With a new friend by her side, Isabel is determined to use her time in the city of lights wisely. 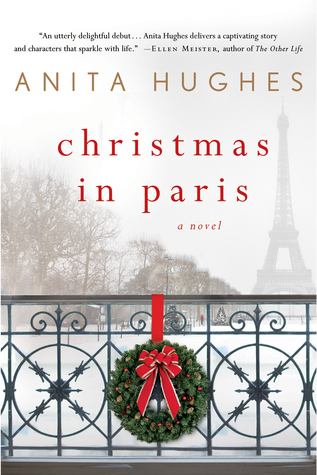 After a chance encounter with a fortune teller and a close call with a taxi, she starts to question everything she thought was important.Christmas in Paris is a moving and heartwarming story about love, trust, and self-discovery. Set during the most magical week of the year, the glorious foods and fashions of the most romantic city in the world are sure to take your breath away. Current Goodreads Rating 3.03. 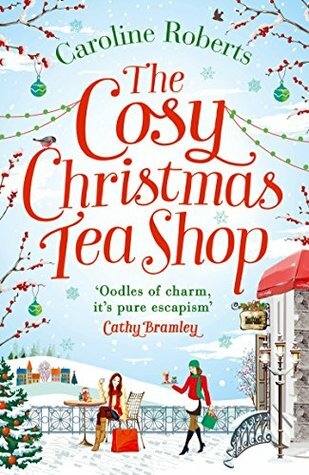 The Cosy Christmas Teashop by Caroline Roberts.....From sleigh bells to wedding bells . 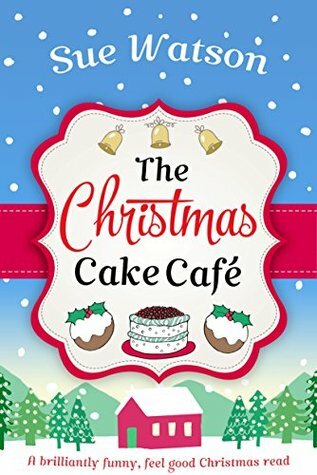 . .
Will Christmas at the Cosy Teashop be a showstopper to remember? Current Goodreads Rating 3.97.
you laugh, cry and bring a smile to your face. 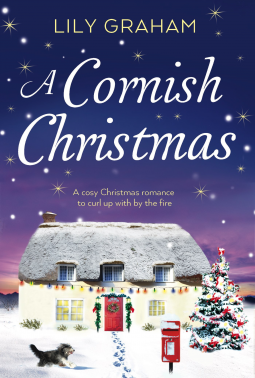 Get ready for another deliciously amazing Christmas treat from Sue Watson….As the Prosecco chills and Bing Crosby croons, Jen Barker just knows that her long-term boyfriend is about to propose. But instead of a diamond ring nestled in her champagne flute, Jen finds cold flat rejection. Her once perfect life and dreams of a husband and family seem even further from reach. As the snow falls and Christmas approaches, could this be the place that restores Jen Barker’s faith in love? 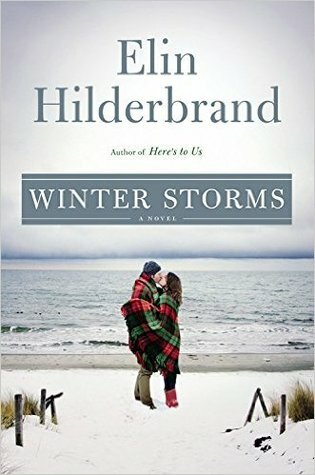 Current Goodreads Rating 3.9. 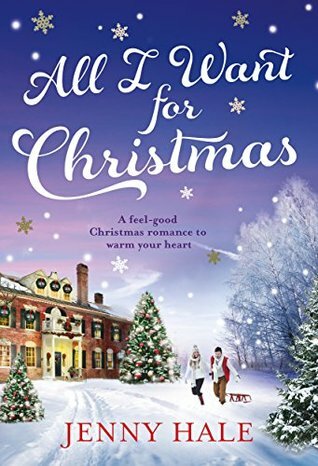 All I Want For Christmas by Jenny Hale.....Christmas comes once a year . . . But true love comes once in a lifetime. year...to fall in love The temperature is dropping, snow is on its way and Hayley Walker is heading for New York with one wish... to start over. With her daughter Angel, Hayley is ready for adventure. But there's more to New York than twinkly lights and breathtaking skyscrapers. Angel has her own Christmas wish - to find her real dad. While Hayley tries to fulfil her daughter's wish, she crosses paths with billionaire Oliver Drummond. Restless and bored with fast living, there's something intriguing about him that has Hayley hooked. 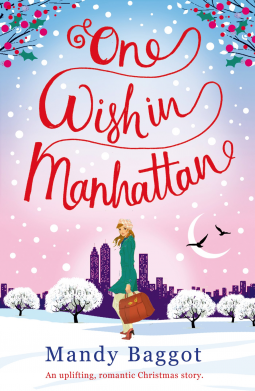 Can Hayley dare to think her own dreams might come true - could A New York Christmas turn into a New York Forever? Stuart have moved to their perfect little cottage by the sea - a haven alongside the rugged cliffs that look out to the Atlantic Ocean. She’s pregnant with their much-longed for first baby and for the first time, since the death of her beloved mother, Ivy feels like things are going to be alright.